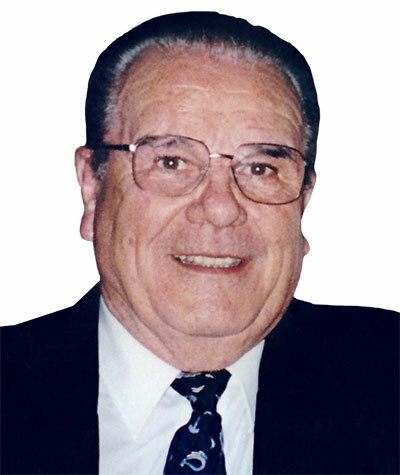 Vern Toblan was instrumental in guiding the industry fraternity into the 21st century. How did a Swiss national, who taught ballroom dancing in Canada, end up in charge of a U.S.-based business fraternity for pest management professionals? For Vern E. Toblan, it was a combination of talent, tenacity, and a little bit of serendipity. Toblan was born March 5, 1930 in Zurich as Werner Hugentobler. After studying agriculture under the Farm School project in Strickhof, Switzerland, he immigrated to Canada in 1953. He went there instead of the U.S. because the waiting list was too long for the latter. As he told Pest Management Professional (PMP) Editor At-Large Jerry Mix in 2008, “I figured that Canada is close to the United States, and so sooner or later I’d make it.” He came to the U.S. in the late 1970s. A variety of jobs followed, including farmhand, ambulance driver and milkman. In his 2008 PMP interview, Toblan revealed he became a telephone lineman only because he was nearby when the man doing the job fell off the pole and broke his leg. Toblan filled in for the man during recovery. It was during a teaching stint at the Arthur Murray Dance Studio in Regina, Saskatchewan, where he met his wife, Kathleen Lannan, who preceded him in death. They married in 1960 and had daughter Brenna in 1965 and son Blair in 1971. In 1958, Toblan was able to put his agricultural background to use: He answered a want ad in the newspaper and thus began his career in pesticide sales with Chipman Chemical, a legacy company of Bayer. At the time, Chipman was the exclusive distributor in Canada for Fisons Ltd., a British company that is also a legacy company of Bayer. Toblan told PMP in 2008 that when Fisons took distribution in-house in the late 1960s, he went with them. “In 1973, I was involved in the development of Ficam,” he said, referring to the bendiocarb-based pesticide. “My first job along that line was to do a survey in North America of the pest control industry to figure out how best to distribute that product in this section of the world. I spent two years and 500,000 travel miles visiting pest control firms and universities to devise a marketing plan for Ficam. 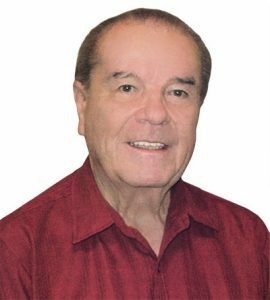 After retirement in 1995, Toblan launched a second career as an industry consultant, T&L Consulting, in which he traveled worldwide hosting educational seminars on various products. Among his projects was a five-year contract with B&G Equipment Co. for work in Europe and the Middle East. At the heart of it all, of course, was educating the end user, the technicians. Throughout his industry career, technician education was a top priority for Vern Toblan. As a supplier representative to the pest management industry, it only made sense for Toblan to join the industry’s business fraternity, Pi Chi Omega. He did so in 1979, and served as president from 1992-93. Founded on the Purdue University campus in 1955, the fraternity continues its mission today of encouraging and promoting pest management education among professionals. By 2000, when Dr. Bill Jackson of Ohio’s Bowling Green State University wanted to retire from his Pi Chi Omega executive director duties, he looked to Toblan to take the fraternity to the next level. “Bill was a good friend and mentor, and certainly instrumental in recruiting me to be his successor,” Toblan noted at the time of Dr. Jackson’s death in 2010. Likewise, Toblan was a friend and mentor to many in the industry — as Dale Baker, vice president of J.T. Eaton & Co., Twinsburg, Ohio, and current Pi Chi Omega president, attests. “Vern was a straight shooter, who could call people out without malice or judgment. I really admired that about him. That, and the way that he would have a highball during the meetings,” Baker says with a chuckle, noting that Toblan was reminiscent of his grandfather, fellow PMP Hall of Famer Stanley Z. Baker, in many ways. Dale Baker recalled his first Pi Chi Omega meeting, which kicked off with a cocktail reception, as somewhat nerve-wracking. With a gathering of so many prestigious industry insiders, he didn’t want to say or do anything embarrassing, yet wasn’t sure what to expect. did for the organization,” he says. “His commitment was unquestionable. His passion was inspirational. His legacy is undeniable. On Aug. 23, 2014, Toblan died peacefully in Middletown, Del. at age 84, with family at his side. He had been caretaker of Pi Chi Omega to the very end of his life. Editor Heather Gooch can be reached at hgooch@northcoastmedia.net or 330-321-9754.